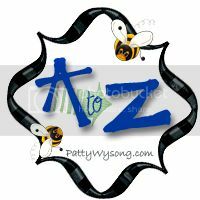 A to Z meme. This week's letter is "V."
My kids (my daughter especially) have been looking forward to today (actually, this afternoon to be more specific) for quite a while. You see, once school gets out for the day this afternoon, school is out for winter break: or, as I remember from my childhood, Christmas Vacation. Time to sleep in. To have big breakfasts with plenty of time to eat them. To, if you choose, do nothing at all. And sometimes to pack up the car and have a vacation. We have no plans to take a "real vacation" over the two weeks of Christmas break - though Christmas eve will be spent at my husband's brother and their family's an hour and a half drive away. But just because we aren't taking a trip over the next couple weeks doesn't mean we haven't in the past. So, for "V," I thought I'd share a few pictures from previous vacations, with a brief bit of info about each trip. Hope you enjoy it! We went to Sleeping Bear Dunes this past summer. This is is my hubby and kids, digging in the dunes. Was lots of fun! We visited Oregon to spend time with my side of the family this summer as well. 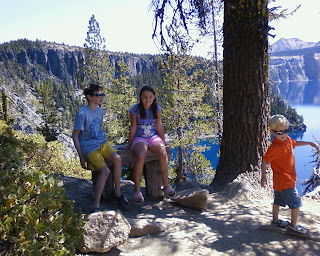 Here are my kids with their cousin at Crater Lake. Beautiful! During the summer of 2012, we took a very fun trip to Cincinatti. We went to King's Island, the Underground Railroad Museum, and the Creaation Mueum. This is an exhibit at the latter. Great stuff! And now a travel back in time - a few years before, with a trip to Muskegon. 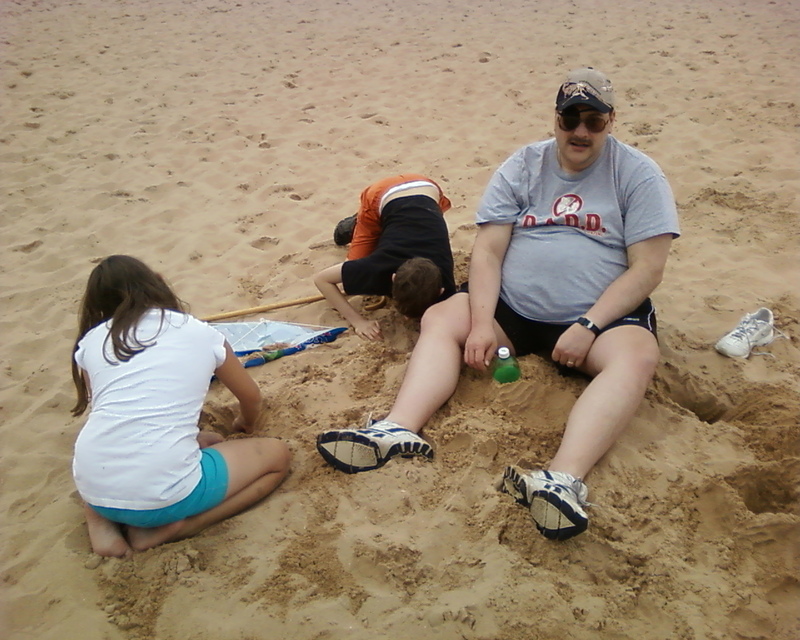 They had tons of fun on the beach! And even FARTHER back - a trip (we think!) to a little place called Deer Park not terribly far from Flint. Annika is approaching two in this pic, and Andrew's about 4 1/2. Are You Vacationing Over Christmas Break? Read more V posts below, or add one of your own! Such great memories you are making for your kids! <3. My family never took vacations- Dad was always working. You are so blessed that you have the time and money to accomplish these family-bonding experiences! Trust me - money is a HUGE issue :) My folks paid for the Oregon trip, and the others were driving distace. But I'm SO glad we make trips like this a priority. SO fun! I love vacations but alas, I'm not going on one at Christmas. My family is, though! I will be left blissfully alone in the writing cave! Ohh! Alone in the writing cave sounds wonderful. Enjoy! !